Jackson, MS, offers some of the finest opportunities for exciting entertainment. The Mississippi Coliseum in Jackson is one of the best places to attend a show or event you’ll never forget. Take a look at what you need to know before you visit this venue! The Mississippi Coliseum in Jackson, MS, is found at 1207 Mississippi Street. They have their own parking lot adjacent to the venue and there is no parking fee. Due to its enormous size, spacious stage with lighting, and abundance of seating, the Mississippi Coliseum hosts a wide variety of amazing entertainment. Take a look at a sample of the events held at this incredible venue. Mississippi State Fair: A favorite event of people of all ages, the Mississippi State Fair is an annual occurrence that brings rides, games, entertainment, food, and much more to the Mississippi Coliseum and its surrounding grounds. This large-scale event takes place every year in October, drawing countless locals and visitors to enjoy the festivities. Concerts: The large stage within the Mississippi Coliseum makes this place the ideal venue for any outstanding concert! This arena hosts a wide spectrum of different bands and musicians. Whether you love rock or country, you’re guaranteed to find the perfect show for you here. Other Events: The Mississippi Coliseum also welcomes shows like Monster Jam, various comedians, holiday events, and much more. Stay up-to-date with their calendar so you don’t miss the next big show! If you think these events sound amazing and you want to purchase tickets for your favorite show before they sell out, call the Mississippi Coliseum Box Office phone number. You can also buy your tickets conveniently online through Ticketmaster. There is no shortage of entertainment in this charming Southern city! If you’re looking for a different kind of performance to attend, take a look at some of the other nearby venues. The New Stage Theatre is a great place in Jackson to see some wonderful dramas, dances, and other talented performances, both new and old. Duling Hall is known to host some of the biggest concerts around, so be sure to see what they have to offer as well. Come Stay with Us at the Fairview Inn to Complete your Jackson, MS, Experience! Enjoy your trip to Jackson, MS, to the absolute fullest by treating yourself to a weekend in the finest accommodations possible! Fairview Inn is the perfect place for you to unwind; our bed and breakfast in Jackson, Mississippi, not only offers comfortable rooms and suites, delectable dining, private lounge, library, and game room, but we also have our very own spa for you to enjoy. Choose from exploring the many attractions of downtown or simply reveling in the comforts of our cozy inn and its relaxing, peaceful environment. You’re bound to love what we have to offer in our rustic haven of Mississippi, so don’t hesitate another moment; check our availability and book your stay today! 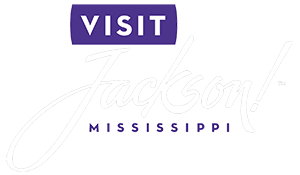 To learn more about the many things to do in Jackson, MS, like attending exciting entertainment at the Mississippi Coliseum, download our free Vacation Guide!